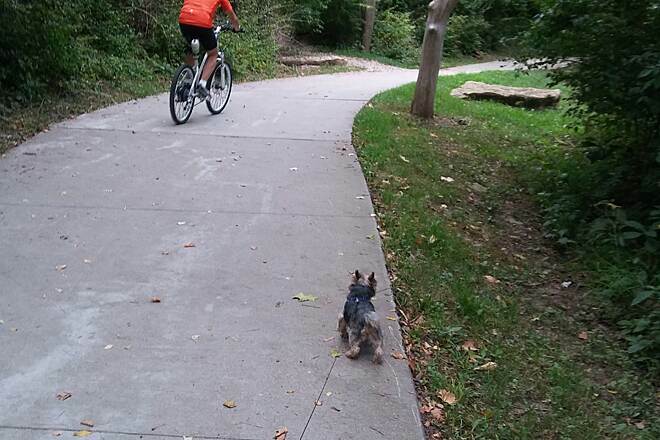 Walking my dog North of 68th St. on Line Creek Trail, he wanted to meet the biker. 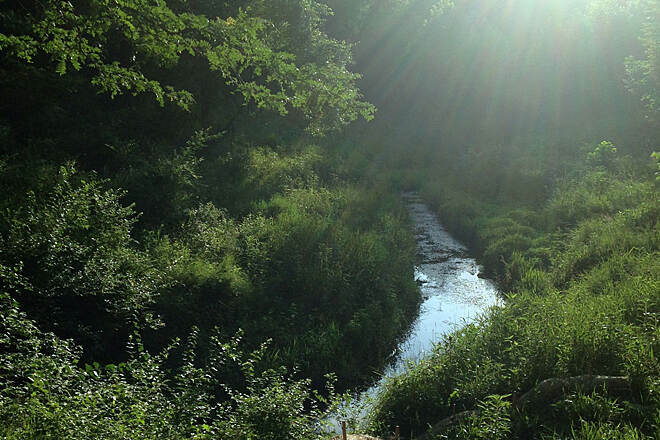 The sun was getting closer to sunset and was shining beautifully over the creek. 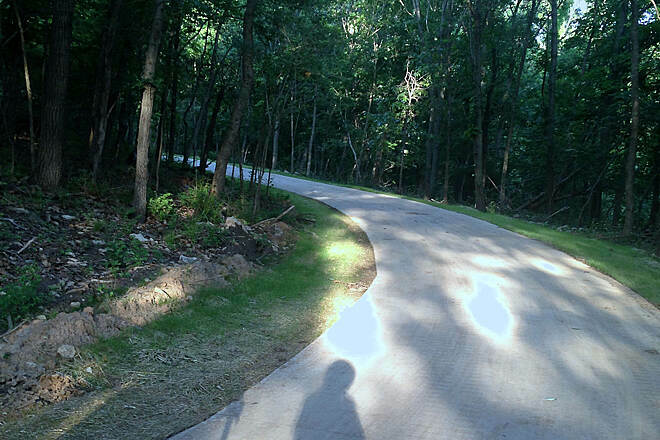 Looking back on newest section of the trail that takes you to the Barry Road trail head. 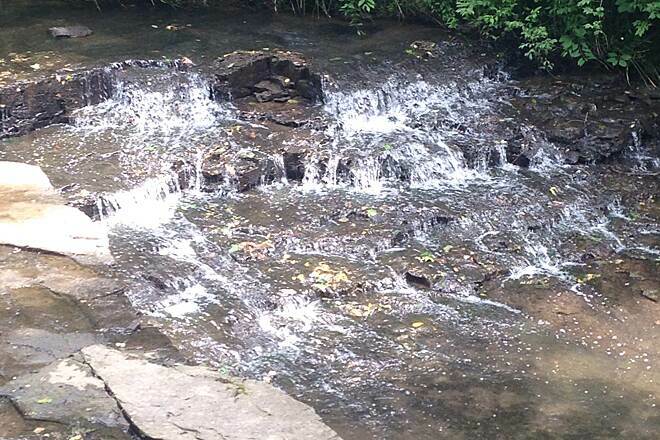 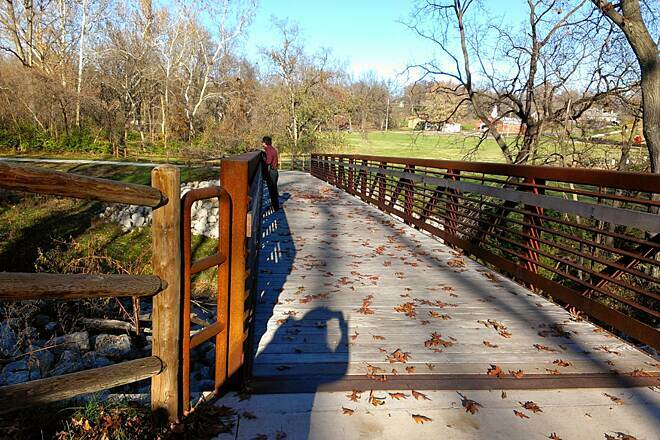 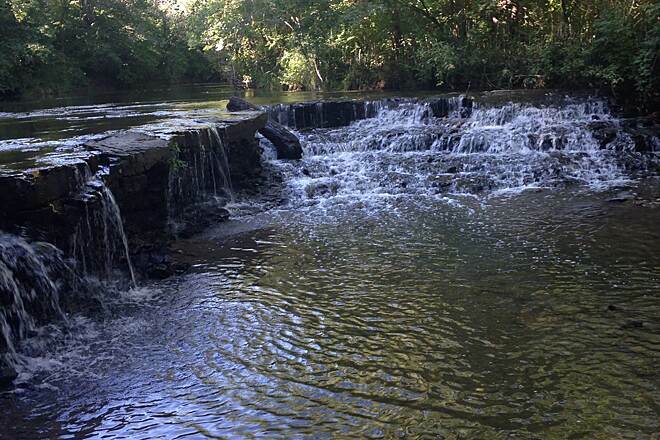 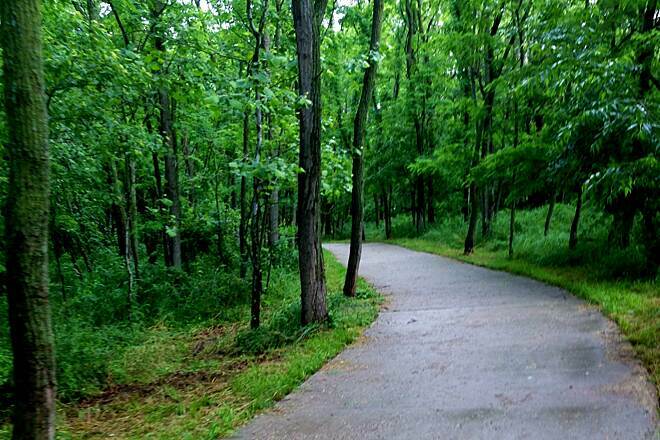 This 10-foot wide, cement-paved trail follows the serene Line Creek through the woods of Platte County. 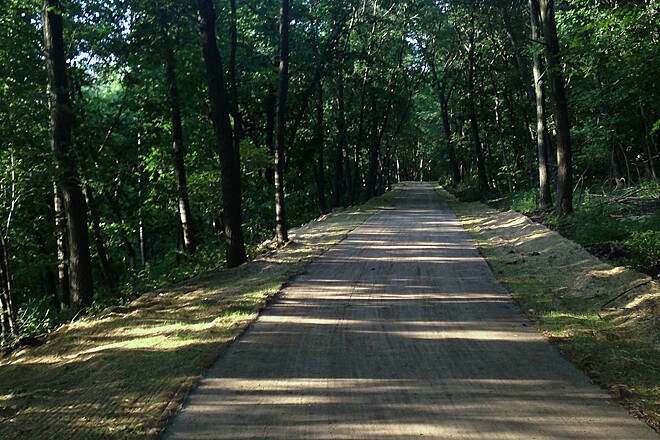 Perfect for runners & bikers, expect to see an abundance of wildlife such as deer, rabbits & turkeys.